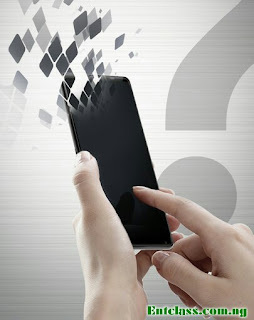 Home » Tech » Can You Imagine Your Life and Work Without a Smartphone? Can You Imagine Your Life and Work Without a Smartphone? Can you really live without a smartphone? Seriously, smartphones are now part of our everyday lives. They make work easier and faster for us. Unlike in those old days where we find it so difficult to reach out to our families, friends and loved ones. Life was so boring then even if I wasn't there back then in those old days. Our smartphones are really smart. They have helped us in so many ways. Our phones has made our daily activities much more easier and faster. I wonder how life would look like without smartphones and internet. Smartphone is your watch, your alarm clock, your camera, your radio. So, can you imagine your life and work without a smartphone? Can you live without a phone? Kindly leave a comment below and share this post. Ooops. I can't stay without my smart phone for a whole day (24hrs) without operating it. If I leave my phone for one hour I would feel like something serious is missing from me. I'm so concious of my phone that I have never lost any phone since my fisrt phone in 2004.
do without phone is going to be alot difficult now that the world has developed Technologically, a lot is gained from online such as latest news, youtube videos etc,, i cant do without phone.